We are excited to announce our first keynote for the 2018 ISACA Information Security & Risk Conference – Mr. Bradley Nix, Senior Advisor, US Department of Homeland Security – National Cybersecurity and Communications Integration Center (NCCIC) and former Acting Director of the US-CERT. 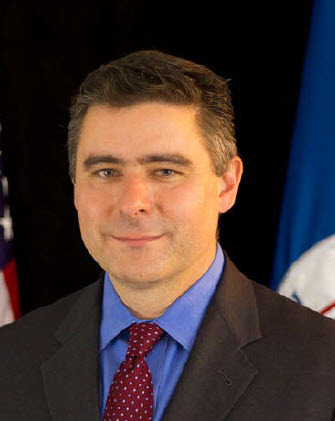 Brad Nix joined the Department of Homeland Security (DHS) in 2014 and has served as the Deputy Director and Acting Director of the United States Computer Emergency Readiness Team (USCERT). In this capacity, he ensured the day-to-day operations aligned with the strategic focus on cybersecurity within the U.S. government. He led efforts to improve the nation’s cybersecurity posture, coordinate cyber information sharing, and proactively manage cyber risks. In his current position, he is the senior advisor to NCCIC leadership, lending his expertise to the overall management and strategy of U.S. government’s 24/7 hub for cybersecurity information exchange, incident response, and coordination. Prior to joining DHS, Mr. Nix served six years as the first Chief Information Security Officer (CISO) at the U.S. Department of Agriculture (USDA) Food and Nutrition Service. product assessments.Mr. Nix holds a master’s degree in Management Information Systems from the University of Virginia, and a bachelor’s degree in Business Administration from James Madison University. He is a Certified Information Systems Security Professional (CISSP) and an American Council for Technology / Industry Advisory Council (ACTIAC) Fellow and former ACT-IAC Executive Committee Vice President at Large.